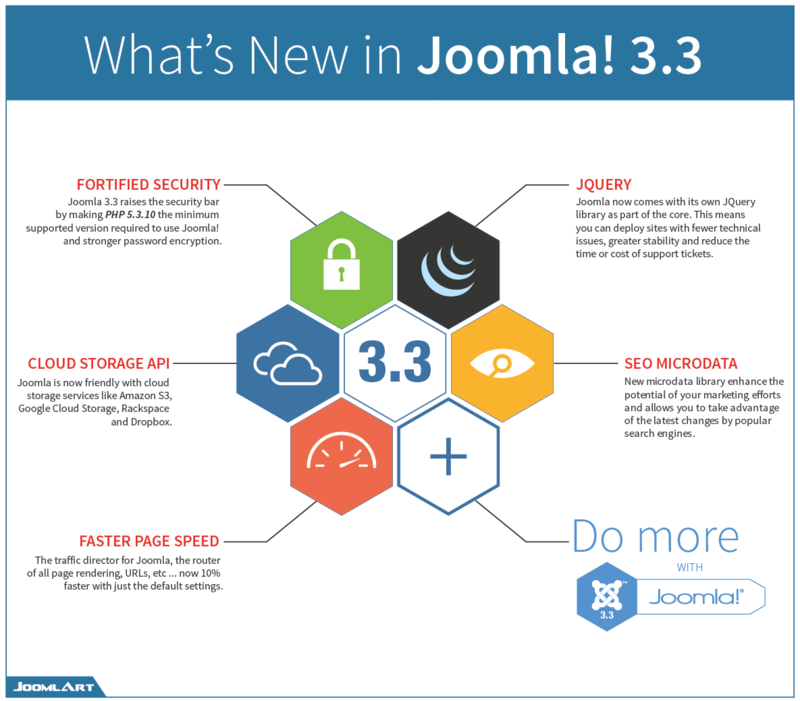 What's new in Joomla 3.3? The theme of this Joomla’s release is “Do more with Joomla!”. Yeap, you’ve heard it right, but you may question that we always have more things to play with each and every new Joomla release. In this release, the Joomla community will take it to the next level to empower the users, so that they can actually 'Do more' with their Joomla websites. Your page will be even more faster with jRouter, which acts as the traffic director in Joomla 3.3. This is the first iteration of a complete rewrite, possibly boost your page speed up to 10% load time performance overall. Not only your customers are going to be happy with the load time, but Google search is too. Any comment? Do you love it?! Or there is something holding back?! We love to hear it in the comments section!